Eagle Vision Eye Clinic in Longmont doesn't offer just one optometrist to treat your family's vision needs but has five experienced optometrists who care deeply about you and your family's vision and eye health. 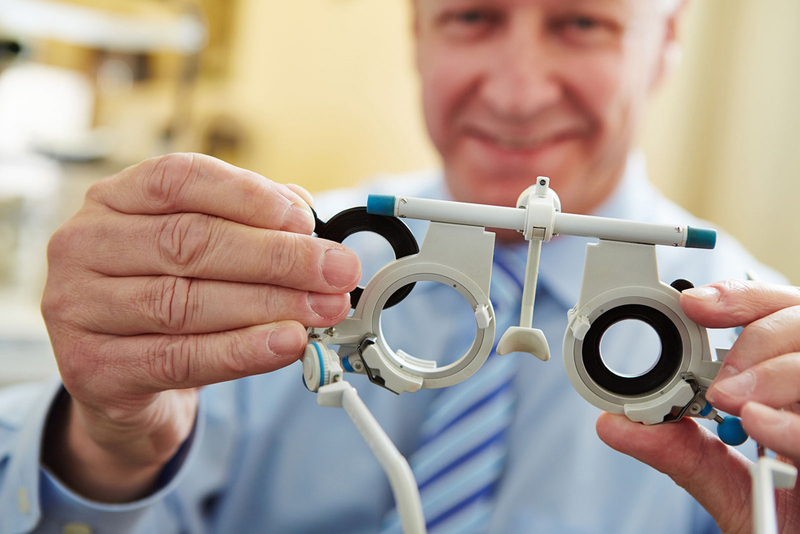 Ranging in age from six months to 90 years old, our patients know they can depend on the staff at Eagle Vision Eye Clinic for scheduling appointments convenient to their busy lifestyles, personalized vision and eye care and Doctors of Optometry who diagnose and treat all types of eye disorders and diseases. Whether you need an eye exam, new glasses or contact lenses, pediatric exams for your children, vision therapy or are interested in learning more about LASIK, please call our clinic today at (303) 651-2020 to speak to a friendly member of our vision care family. Working with Dr. Blackwood in private practice for many years, Dr. Forrest once served as the legislative chairman, trustee, president and president-elect for the Colorado Optometric Association. In addition, Dr. Forrest's peers awarded him with the prestigious Optometrist of the Year certificate and he has served as chair for the American Optometric Association's Ethics and Values Committee. Gina Marangoni Gabriel, O.D, M.S. Dr. Gabriel is our Director of Vision Therapy and is trained to perform InfantSEE exams according to programs established by the American Optometric Association. She has also received the Terrance Ingraham Pediatric Optometry Residency Award, an award given to the top two pediatric optometry residents in the U.S. In 2014, Dr. Gabriel passed a difficult Board Certification Examination to become a board-certified member of the American Board of Optometry. Currently, about 3000 Doctors of Optometry have earned this certification. Dr. Potter specializes in surgical co-management of eye procedures, such as LASIK, performing contact lens fittings and exams and treating a variety of eyes issues such as dry eye, allergies and glaucoma. A member of the Colorado Optometric Association and the American Optometric Association, Dr. Potter also volunteers in her spare time as a member of Colorado Optometric Association committees and providing vision assessments for community health fairs. Currently a member of the Colorado Optometric Association and American Optometric Association, Dr. Wray provides comprehensive eye and vision exams for children and adults. She also diagnoses and treats eye disorders ranging conjunctivitis and keratoconus to glaucoma, cataracts and macular degeneration. Dr. Lemaster completed clinical rotations specializing in ocular disease, contact lens, LASIK & cataract co-management care, low vision and traumatic brain injury. He also had the opportunity to work at the Landstuhl Regional Medical Center in Germany, providing eye care for our deployed troops. His main focus was rehabilitative vision services for our troops and Veterans that were injured in combat. Your Longmont optometrist wants to see you see as clearly as possible! Call our center today at (303) 651-2020 to make an appointment for a eye exam.